There are several details that confirm that these are Union soldiers. First, the white officer is clearly dressed in a US Army uniform. 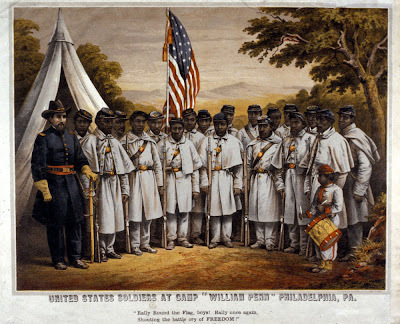 Second, several of the soldiers are wearing US belt buckles and eagle breast plates, the former most visible on the sixth private from the left, the latter on the bearded soldier at center-right. Third, they are wearing Union insignia, including company letters and infantry horn insignia, on their forage caps (see the fifth private from the left). 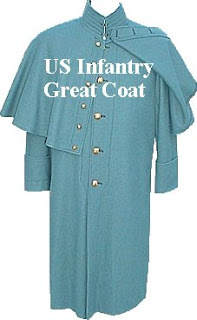 But wait, I thought that Union soldiers wore dark blue. Why are their coats so light? 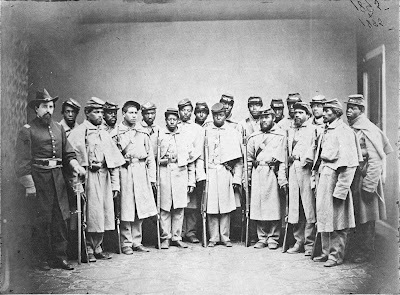 Ok, so we've shown pretty conclusively that these are UNION soldiers. 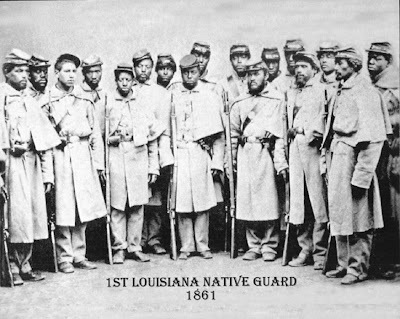 But hey, if you crop out the officer, blur the insignia, add some misleading text, you get the first and only photograph of the fabled 1st Louisiana Native Guard, CSA! After that, make some prints, slap it on a website, and all of your neo-Confederate friends can pat themselves on the back, knowing that the South was always more righteous than the North and the war had nothing to do with slavery.